When Dave learned that the Highlands Act legislation would stop new development in West Milford, he didn’t want to see harmful revenue-making ventures (tourism, big box stores, etc.) destroy our local economy or environment. Dave and Wendy started Sustainable West Milford in 2007 and have launched countless sustainable project leaders with their own successful projects since then. When they are not volunteering for Sustainable West Milford, Dave and Wendy are Principals at Frontier Consulting Group, whose mission is to help individuals, communities, and organizations to thrive. www.frontierconsultinggrp.com. They have helped hundreds of organizations, leaders, volunteer groups, nonprofits and government agencies transform their impact. Their greatest joy is bringing that work home to create a more sustainable town. Luke Slott is a lifelong resident of West Milford who realized early on that it is a truly unique place to grow up. 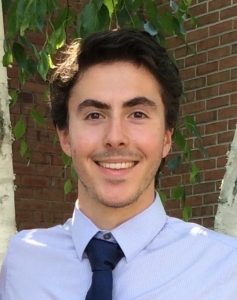 Thanks in part to volunteer-minded parents, he became involved with Sustainable West Milford just prior to the first Green Fest, and served as a leader for the township high school’s Green Team. Luke participated in an effort to legislate restrictions on daytime lawn watering during the summer and was subsequently appointed to the township’s Environmental Commission, on which he still serves. Luke is entering his fourth year at Ramapo College in the environmental science program. He feels that sustainable eating and educating our community on leading less carbon and water-intensive lives is critical to ensuring that future generations are left a planet abundant in natural, renewable resources with untainted expanses of open space to enjoy. Renee has called West Milford home since 1977. As a longtime environmental activist, she was a vocal advocate in support of the 2004 passage of the New Jersey Highlands Water and Protection Act and helped to initiate water hearings with the NJDEP to prohibit a proposed 288-townhouse project. This resulted in withdrawal by a national developer. She has gotten the town council to sign the US Mayor’s Climate Protection Agreement in 2007, and as former Chair of Sustainability Sub-Committee of the West Milford Environmental Commission, she headed efforts for West Milford to become a Certified Sustainable Jersey Community. As an environmental health educator, Renee currently focuses on educating the community about living sustainably and promoting policy that creates a healthy and safe environment. 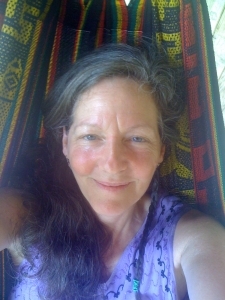 Robin Rose Bennett, founder of Wisewoman Healing Ways – Herbal Medicine and EarthSpirit Teachings, is a gifted herbalist, writer, and spiritual teacher. The focus of her healing work is to share the loving generosity of the earth and the magic, mystery, and beauty of the web of life while using herbal medicine to help people to heal and to birth their true selves in this time of profound transformation. Robin is the creator of SWM’s amazing Native Medicinal Garden at the Warwick triangle in Hewitt and has expanded its healing benefits and education through volunteers from the community and her apprentices since 2008. Robin is the author of two meditation CD’s and two books, Healing Magic: A Green Witch Guidebook to Conscious Living – 10th anniversary edition and The Gift of Healing Herbs- Plant Medicines and Home Remedies for A Vibrantly Healthy Life. Her website is www.WiseWomanHealingWays.com. An artist and former book editor, Kathleen has resided in West Milford for over 20 years. A lifelong peace and environmental activist, she joined SWM to continue her practice of advocacy and involvement for environmental and sustainability issues. While working in NYC in the late 1980s, she and two others instituted the first volunteer corporate recycling program at a major media organization, receiving awards from three mayors. As Passaic County’s Open Space Coordinator, Kathleen works with the Board of Chosen Freeholders as well as an advisory committee and all 16 municipalities on creating or improving active recreational opportunities as well as sustainable practices, in terms of wildlife and watershed protection while promoting passive recreation. She also helped usher in a new community gardens initiative with City Green, Inc. She is an avid gardener, a certified Master Gardener, member of the Master Gardener Association of Passaic County, as well a founding member of Citizens for Planning Responsibly, a local group that had challenged non-sustainable development proposals prior to the Highlands Water Protection and Planning Act of 2004. Carpenter, painter, poet and artist, Harvey joined Sustainable West Milford to continue to do his part in making the world a better place, right here at home in West Milford. He is active in his neighborhood, utilizing his skills to improve the surroundings as well as the environment. Harvey reclaims scrap materials to produce transformational, up-cycled artworks. His poetry reflects the zeitgeist in provocative and often humorous ways. Alan Watts, Buckminster Fuller, Herman Hesse, and Ivan Illich (“Tools for Conviviality”) were early inspirations. He had worked professionally in the heyday of the anti-poverty movement of the 1960s and 1970s, and sees sustainability as an evolutionary step toward humanity’s survival. 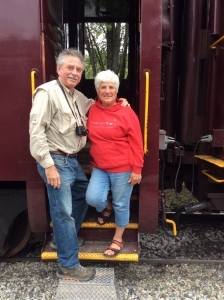 After moving to West Milford in 2009, John Harrison and Karen Longo joined Sustainable West Milford. Since then, they have become avid gardeners (vegetables, herbs, native and medicinal plants) and beekeepers. After having learned how to preserve their crops they have provided workshops on topics such as freezing and dehydrating food, and honeybees. In addition to volunteering their time to Sustainable West Milford, they volunteer with the Sussex County Beekeepers Association. John and Karen believe that you have to treat the earth well to reap bountiful rewards, just as you have to volunteer in your community for your community to reap bountiful rewards. Amy teamed up with some of her Ringwood neighbors to make a difference for her family and her town. She took the lead on starting the Ringwood-based nonprofit organization, Eat Local, the group behind the Ringwood Farmers’ Market, now in its 8th year. The nonprofit took advantage of the momentum to branch out into other projects, such as the Ringwood Community Garden, now in its 5th year, and the Ringwood School Gardens at Erskine and Cooper Elementary Schools. Craving a more impactful career, Amy began working with City Green, a small nonprofit focusing on food access and urban gardening. There, Amy directed the school garden programming for the organization. She grew the program from 5 gardens to 55 gardens in three years, and she trained countless teachers on how to make fresh healthy food part of classroom learning environment. Today, Amy works for the Newark Public Schools as Manager of Network Supports in the Career and Technical Education Office. She serves on the board of directors for Sustainable West Milford, and is the Service Unit Manager for Ringwood Girl Scouts. Lou has been in West Milford for 30 years and was introduced to SWM through food. As an owner/operator of a local restaurant (DeMarco’s,) he saw a need and demand for good, clean, local food, and partnered with SWM on a variety of their early initiatives to encourage residents to buy local. His passion is in creating a clean, better tomorrow, through education and building a stronger community. Fueling this creates an involved community. Anne Thornton has been honored to serve as a board member since the inception of SWM. 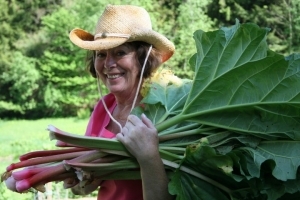 A native of West Milford, Anne donated land in her meadow – located on Union Valley Road – for the SWM Organic Community Garden. Anne’s land at Apple Acres, which is a designated historic site, has a history of first providing grains for the rural community and then, for decades, quality apples and vegetables. The meadow where the garden is located once was the cow pasture, guaranteeing rich organic soil! For a short video of the history of Apple Acres you can click on the picture of Anne.